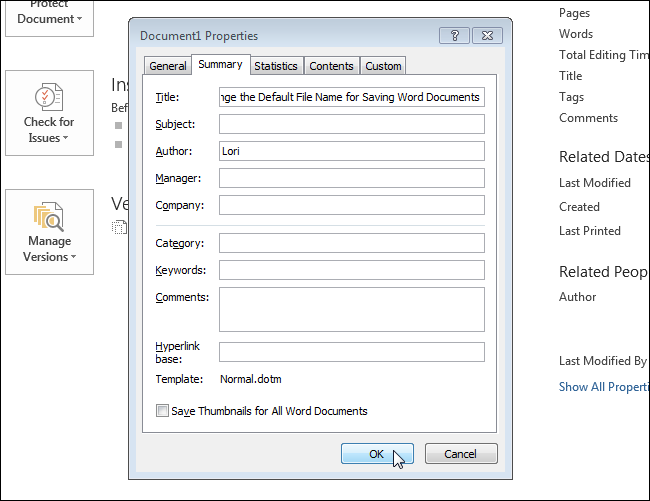 When saving a file for the first time, you may have noticed Word suggesting a file name to you in the “Save As” dialog box. This file name is typically taken from the first paragraph in your document. However, this is actually Word’s second choice for suggested file names. If you’ve set the “Title” property for the document, Word uses that as the suggested file name when you first save the document. For example, we set the “Title” property for this article to the title of the article. 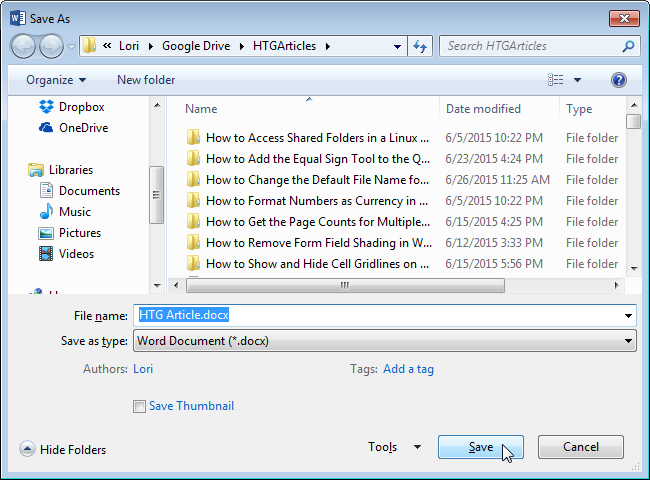 When we save the article the first time (press “Ctrl + S” and select a location or click “Browse” on the “Save As” screen), that “Title” property is entered in as the file name in the “File name” edit box on the “Save As” dialog box. 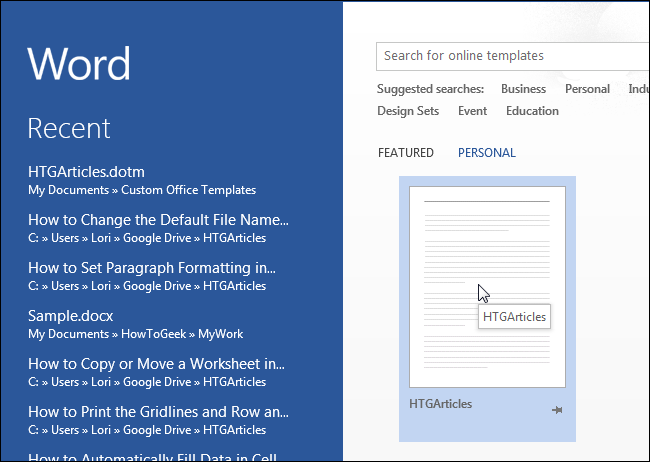 If you want the same default file name to be used for all documents of a specific type, you can create a template for use with those documents and set the “Title” property in the template. NOTE: You do not need to add the file extension (.docx) to the “Title”. Word automatically adds that to every file name. …and you save the document for the first time, the text you entered into the “Title” property is entered as the default file name in the “File name” edit box on the “Save As” dialog box. 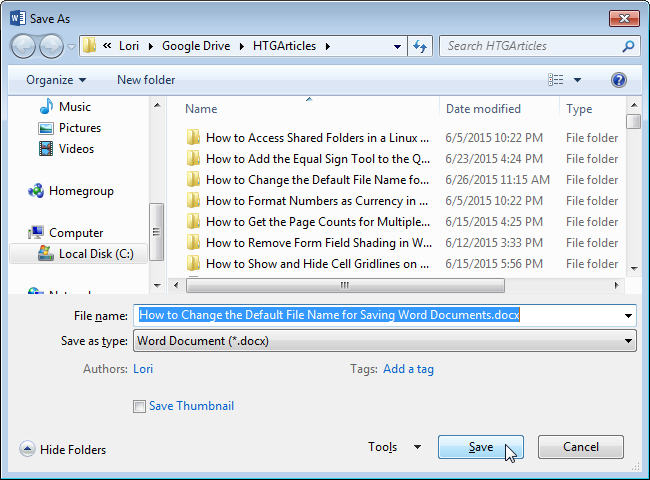 You can simply add to or change the file name for each document when you save it. NOTE: If your document does not have any text in it and you haven’t set the “Title” property, Word inserts “DocX.docx” as the file name, where the “X” is a number that depends on how many new documents you have created during your current Word session. This number is set back to “1” after you close all open Word documents.